Kamp Keowee, a private residential summer Kamp run by Cliffs grandparents, is offered to children and grandchildren (ages 5-12) of Cliffs Vineyards, Springs, and Falls property owners, residents, and their houseguests. Its purpose is to offer a safe, healthy, educational and fun-filled social/learning experience while building strong relationships and memories between Kampers, parents, and grandparents. Kamp Keowee 2019 will conduct two separate Kamps: (1) Pirates of The Keowee for ages 5-10 and (2) Adventure Kamp for ages 10-12. (Ten year olds may choose to attend either Kamp). Pirates of The Keowee - All activities, T-shirt, craft supplies, snacks, and lunches. 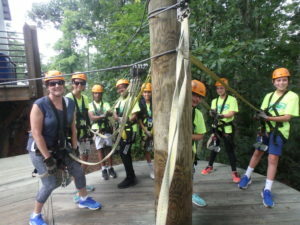 Adventure Kamp - All activities, T-shirt, 2 overnight stays with meals in the Yurts at Wildwater Chattooga and transportation. The registration process for Pirates of The Keowee has changed. All registrations must now be completed prior to the start of Kamp. Adventure Kamp will have an orientation at the Vineyards Clubhouse Executive Board Room on Sunday, June 30th from 3:00 - 5:00 PM to go over important details, logistics & transportation for the week. In order to participate in either Kamp, registration fees and all waiver & release forms listed on the Registration Website must be downloaded, signed and mailed to the appropriate Kamp Director listed below. Kampers are not officially registered until all forms and registration fees are received. Online Registration for both Kamps begins on Monday, April 1st and ends on Saturday, June 1st. Kamp Treasurer Jan Mann will confirm registration after the directors verify receipt of all forms and registration fees. It is our intention to accommodate as many children as possible, but in order to provide quality and safety at each Kamp—Pirates of The Keowee will be limited to 55 Kampers and Adventure Kamp to 25 Kampers (excluding Chaperones). Adventure Kamp attendance will be on a first come, first serve basis. the registration process, but payment will be due only after notification that there is a spot available in Adventure Kamp. The Closing Ceremony dinner on Friday night will be billed on member charge. Reservations are required. 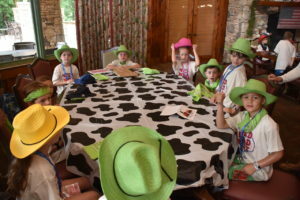 As part of Pirates of The Keowee Kamp week-long activities, kampers will be making costumes that each of them will wear to the Friday night closing ceremony. The Lake communities would like to thank The Cliffs for their valuable support in their ninth annual Kamp Keowee Summer Kamp for kids both young and old. We are looking forward to a wonderful Kamp week —See you in July! Check out the photographs from previous Kamp Keowee years. Feel free to download and make copies.